We love a shoe that gives you both high style, and cool edge. Who would think you can get those two attributes in a classic silhouette like women's pumps, but that's exactly what you get with the Gx by Gwen Stefani Mackinzie Pump. 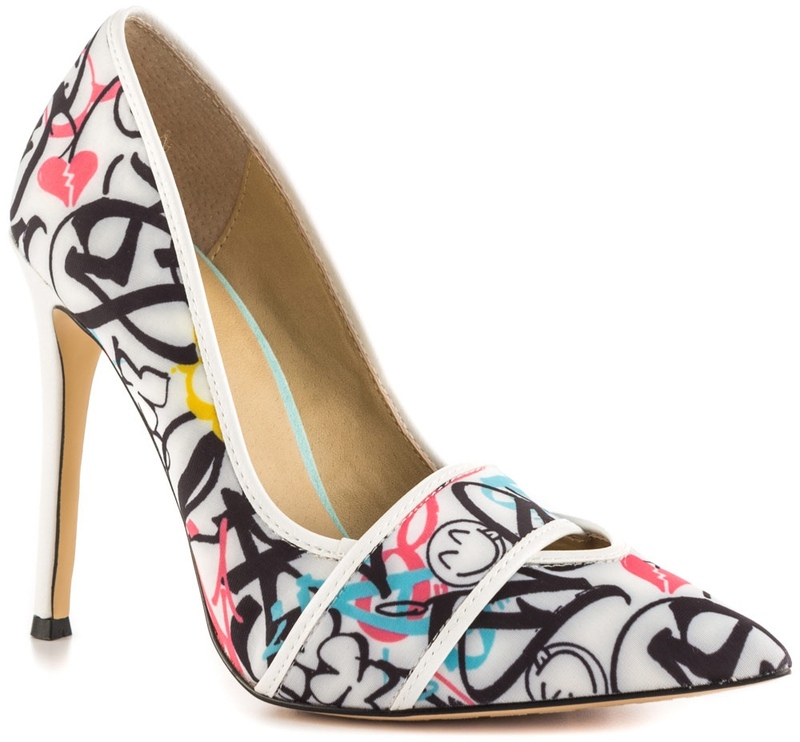 This fabulous boasts a graffiti-printed, fabric upper trimmed in contrasting white piping, front strap detail, pointed toe, and a 4 1/2" stiletto heel. 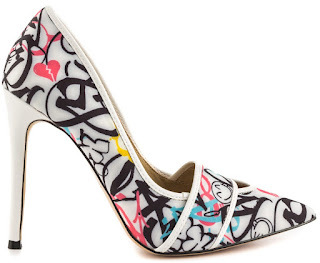 Another amazing thing about this stunning pump, aside from the very cool graffiti print, it also comes in a cool colorful camo, and chic, black with white trim color options. The icing on this fabulous cake is the price, grab one or all three for $89.99 each on www.heels.com.